A question we hear from every business owner we speak with is “What results can I expect from inbound marketing?” Well, here is the answer. Up front it is important to understand that inbound marketing is radically different from traditional marketing. Instead of spending money and seeing an instant spike in results, you’re going to see slow, steady growth with inbound marketing. Inbound marketing is about building a repeatable system that compounds upon itself over time. 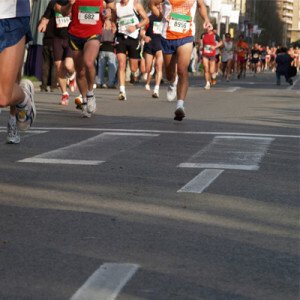 Building a lead generation machine through inbound marketing is similar to training for a marathon. It doesn’t happen over night, but the long term benefits are undeniable. Success from inbound marketing takes time, but it is well worth the work. There was a study published by MIT called Return on Investment from Inbound Marketing through Implementing Hubspot Software. In this report, Annie Hung analyzed website data from Hubspot customers and customer survey data from a random selection of Hubspot customers. She pulled out some great numbers that can help businesses new to the inbound marketing space better understand the road ahead. Increased Traffic – 92.3% of surveyed Hubspot users saw an increase in website traffic from inbound marketing. Increased Leads – 92.7% of surveyed Hubspot users saw an increase in leads. Increased Sales – 49.2% of surveyed Hubspot users saw an increase in sales. This chart shows that depending on the number of leads you’re currently collecting through your website, what to expect after an active use of inbound marketing for 6 months and 12 months. You can clearly see the compounding effect that inbound marketing has on the total number of leads in the marketing database. Unlike paid forms of marketing, inbound sticks. Once a new blog has been posted, it is live and indexed by Google. 2,3,4 years down the line it will still be there and can still drive traffic to your website. It doesn’t matter if you’re target customer are other businesses or consumers, after 12 months inbound marketing delivers a significant increase in lead volume. If this is so great, why doesn’t everyone do it? I think a lot of business owners and CEOs don’t want it bad enough. They say they want to grow, but when rubber hits the road they’re not willing to make the necessary changes within themselves or within their organization to make it work. It takes discipline to stop talking about how great your widget is and to start thinking about a customer’s problems. It takes time to think about blog post topics, content offers for landing pages, and to write emails. This new reality means that there is an amazing opportunity for companies that really want to grow. Companies that are willing to make the changes necessary and who begin to create content that helps people live better lives are the ones that will find success.